Now taking reservations for the 2018-2019 season! Snowmobile packages cannot be booked on-line! Please call us at 603-356-5541 to make your reservation. We will ask date and time that you prefer for your tour. Once we are able to make your reservation with Northern Extremes we will take the deposit and confirm your reservation. If we are unable to reserve the tour for the requested time and date we will contact you immediately to work with you toward an acceptable solution. Looking for some adventure during your winter visit? How about a snowmobile tour through the forests and fields of the Mount Washington Valley! 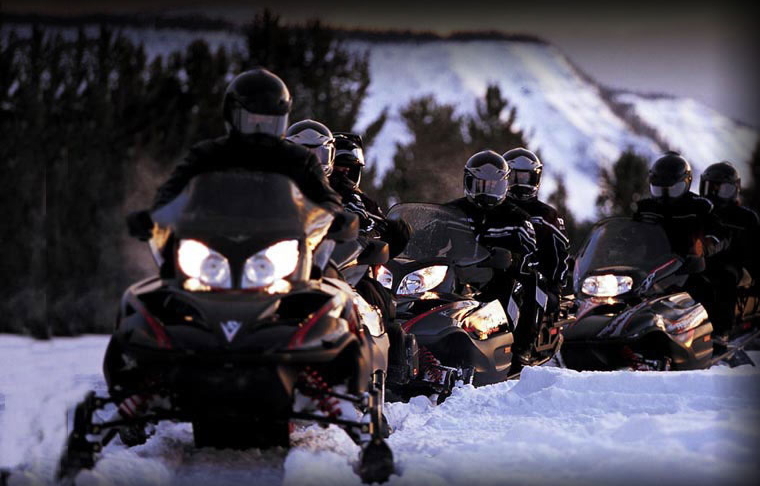 The New England Inn and Northern Extremes Snowmobiling have teamed up to offer an adventure package that is just right for you! Our Snowmobile packages start out including two nights' lodging, either a 2 or 3 hour snowmobile tour, Continental breakfast and includes all taxes. Explore miles of beautiful scenic trails on your double sled, or for an additional fee you can enjoy two single sleds. Sorry, this package cannot be booked on-line. Weekend rates apply to vacation weeks. Cannot be combined with any other Discounts, Specials or Promotions. Prices shown include NH 9% room tax. Rates listed above include the 9% NH rooms and meals tax.